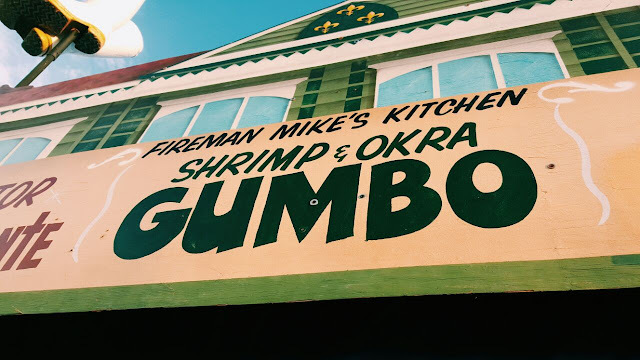 Our friend Nat Wong (@natmozzie) already gave us some insight into how to spend a weekend in New Orleans in her last post. 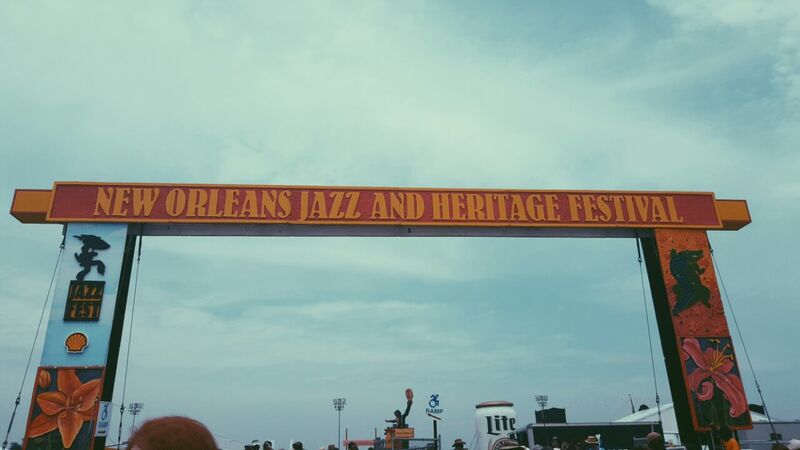 In this week's post, she gives us some top tips on what to do at the Jazz and Heritage Festival in New Orleans! 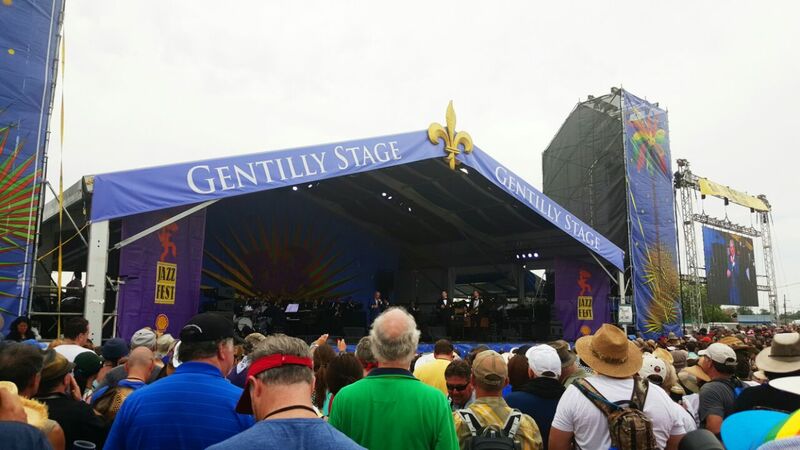 New Orleans and jazz. The Pope and religion. The French and their butter. Kim Kardashian and her selfies. 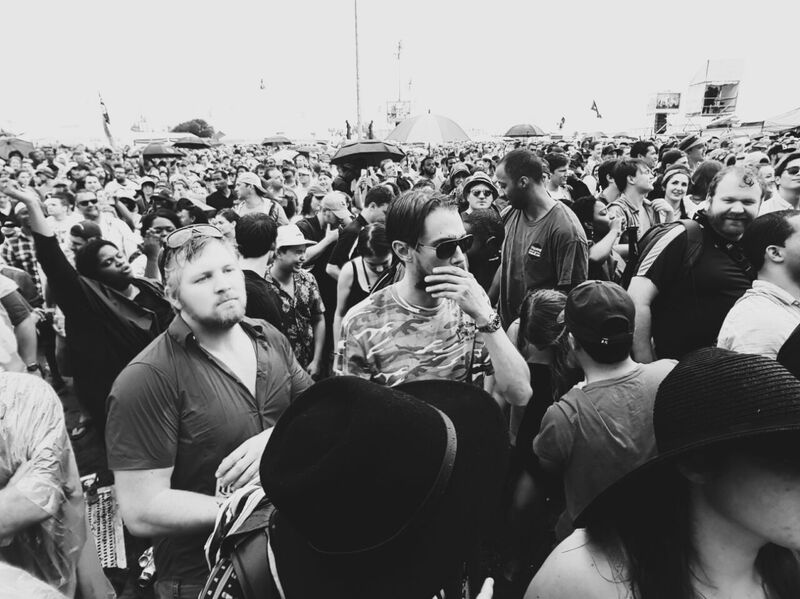 To say New Orleans is synonymous with jazz is an understatement. Jazz is so interwoven into the fabric of NOLA that it is almost impossible not to mention one without the other. And what better way to experience the city than to attend the famous New Orleans Jazz & Heritage Festival. The name of the festival is actually a misnomer. There are many jazz acts but there are also fantastic acts from other popular genres. 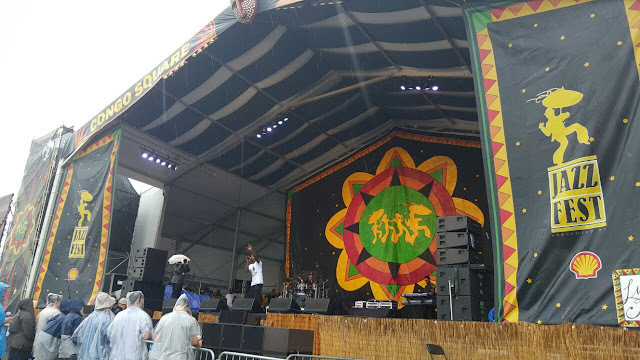 The festival consists of 12 stages and tents of varying sizes. Blues, rock, pop, gospel, soul, rap and hip hop all feature at jazz fest. You need to be prepared for all sorts of weather. I cannot stress this enough. 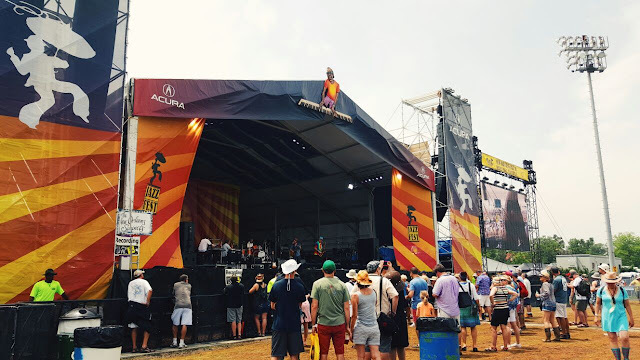 Before going to jazz fest, I recommend researching what acts you definitely want to see. For me that was John Legend, Tony Bennett and Lady Gaga. If you want to get close to the front for one of the headlining acts, you will need to be in position at least 2/3 hours before they are due to perform. There were 4 main food areas, grouped into different sections in the venue. There were around 70 different food vendors this year. Click here for a full list of all the food on offer. 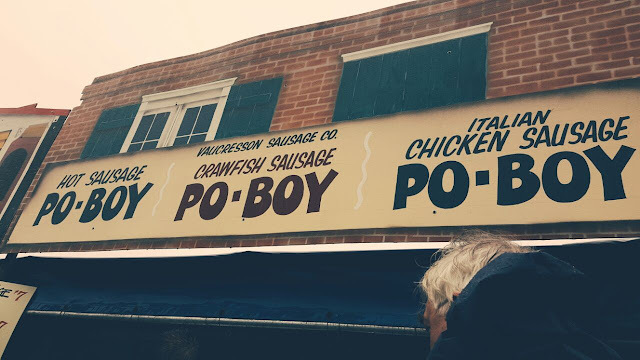 Another great thing about jazz fest, is that a large number of the vendors have been attending the festival for many years. Iva and Ernest Jones have served their famous fried chicken to festival goers for almost 30 years. Apparently, Chaka Kahn is even a fan! Dale Koehl and his family have made their signature mango freeze dessert for more than 20 years. According to their general manager, sales of the sorbet have raised around 500,000 USD from the 7 day festival alone. The mango freeze is a simple recipe of mango puree, water and sugar. The mixture is put in a gelato machine which makes the sorbet super smooth. New Orleanians take their food very seriously. If something isn’t up to scratch, you will not see it next year. 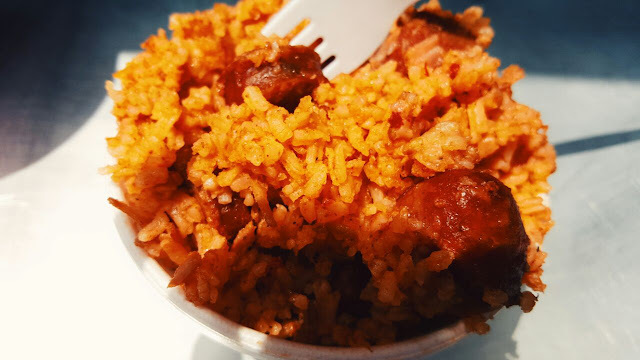 According to several people I spoke to, there were some new dishes available, but there was only one new vendor this year. 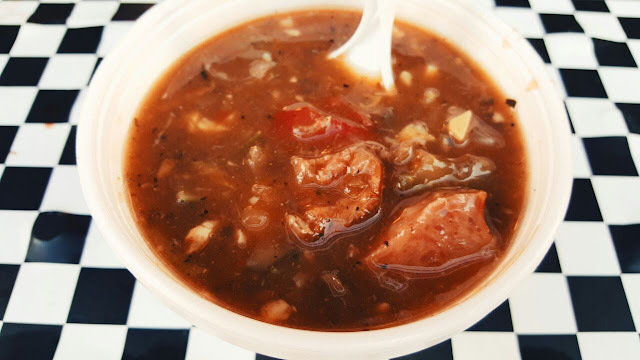 Competition is certainly tough for the taste-buds of Louisiana. One major regret I have is not eating everything. Unfortunately, a 5ft1 girl can only fit in so much. 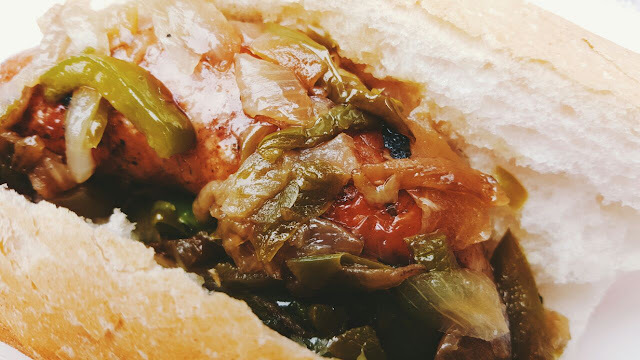 I had the crawfish and pork po’boy from Vaucressson’s Sausage Co (VSC). 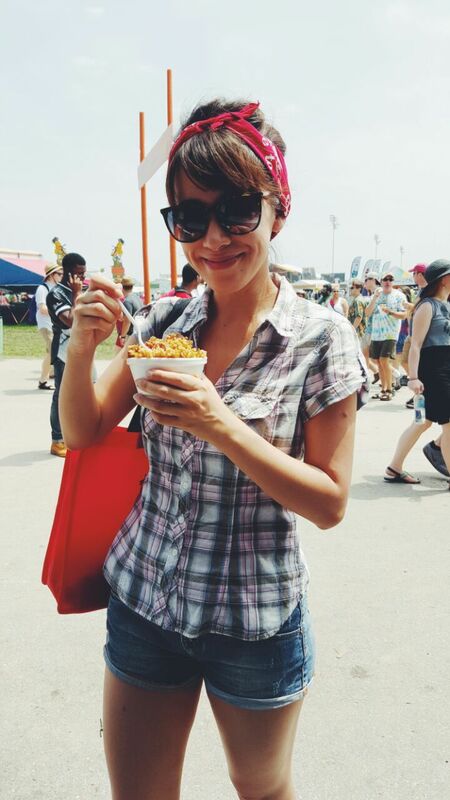 VSC has been serving food since the very first festival! 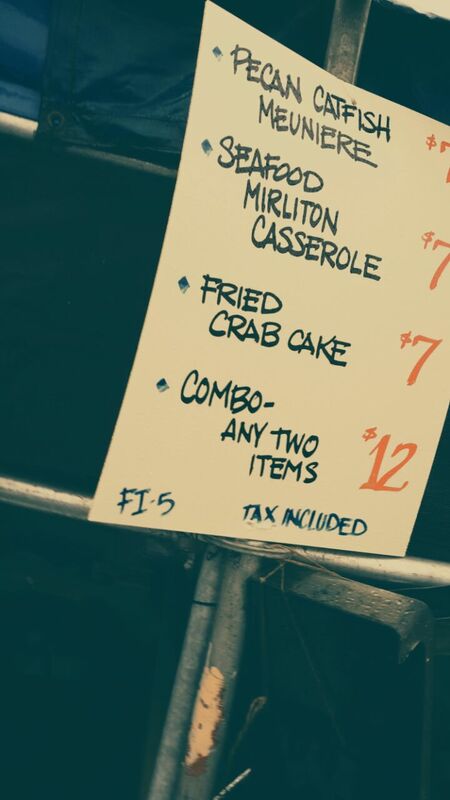 This was delicious and I washed it down with some traditional strawberry lemonade, two staples of jazz fest. The lemonade is very sweet so tell them to add more ice or less sugar if you prefer. On the next day, I had the gumbo, jambalaya and slow-cooked ribs. 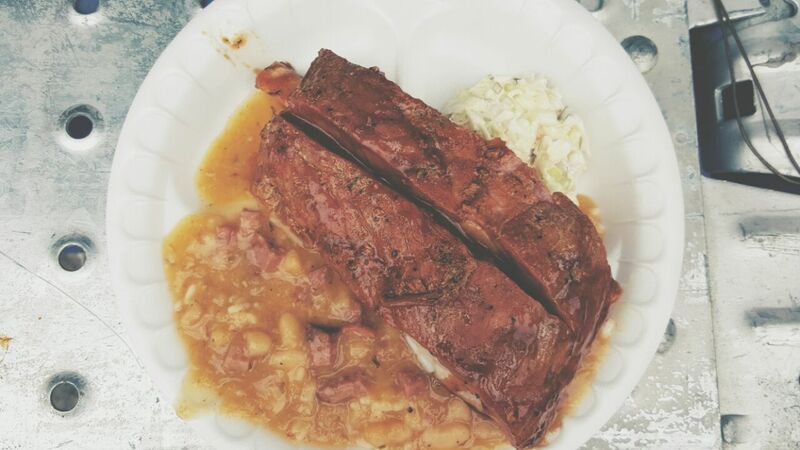 The ribs smelt and tasted so good, everywhere I went people were asking me which stall I got them from. Jazz fest also allocates large areas to local arts and crafts stalls, featuring a diverse mix of regional and nationally acclaimed artists. 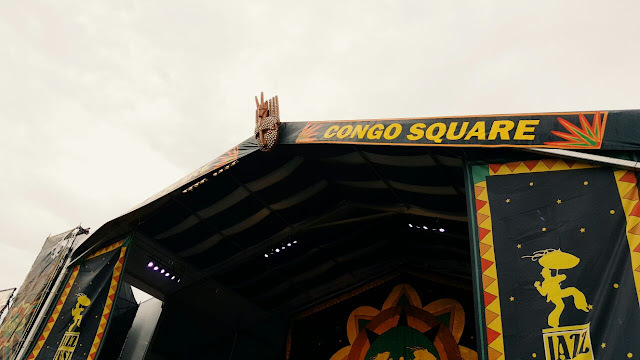 The Congo Square African Marketplace showcases a massive array of Afro-caribbean inspired items including ethnic jewelry and paintings. 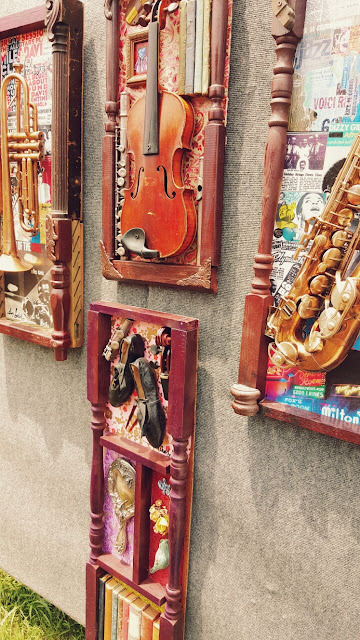 The Contemporary Craft tent houses things such as handcrafted sculptures, paper-reliefs and earthenware. 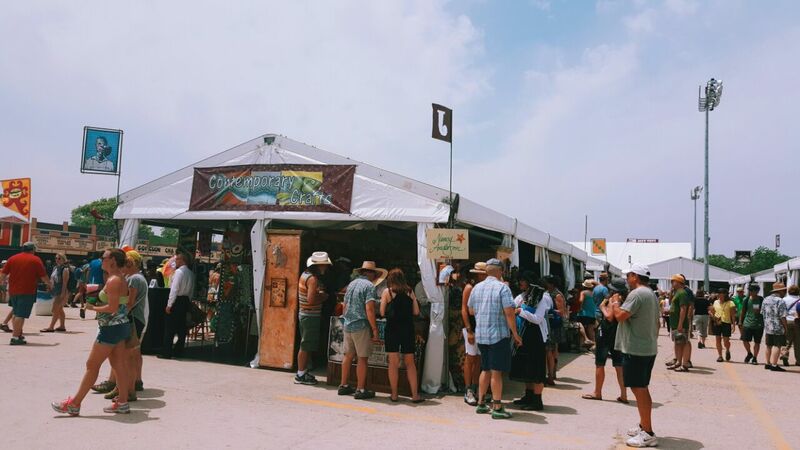 The Louisana Marketplace sold local artwork which included limited-edition prints and graphics, cooking tools, stoneware pottery and handmade acoustic guitars. And now to the music. 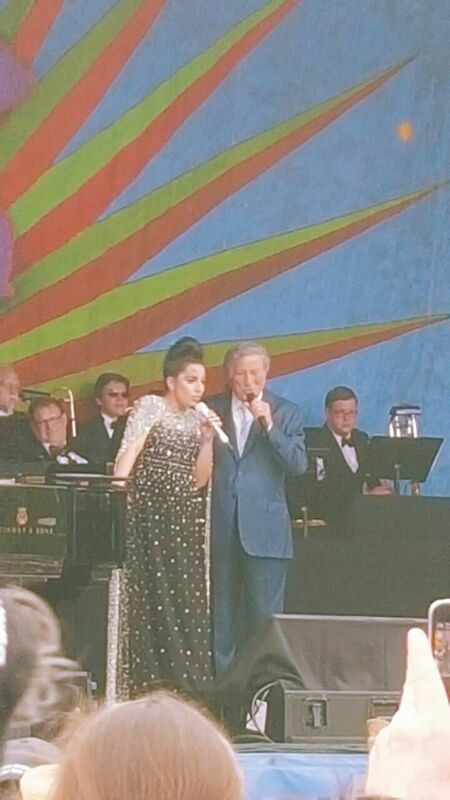 What happens when a 29 year old pop icon and an 88 year old show and jazz legend get together? Pure Magic. The famous vocals of Bennett coupled with the energetic and expressive Gaga worked like a charm. Whilst most ‘almost-90 year-olds’ would be taking it easy, spending time with the grandchildren, Bennett is performing at a staggering thirty-one shows across Europe and the US. Charming and sophisticated, Bennett displayed a stage presence from a by-gone era, something modern audiences rarely get to see. Of course, Bennett’s golden vocals were not what they used to be, but his heart and emotion could still be felt in every syllable. When he performed his signature song, ‘I Left My Heart in San Francisco’, a deep hush fell over the audience as we all witnessed an eye-watering performance of a song that forever changed his life as a singer - launching him to global superstardom in the sixties. Behind the elaborate costumes and big stage productions, Lady Gaga is a serious musical talent. 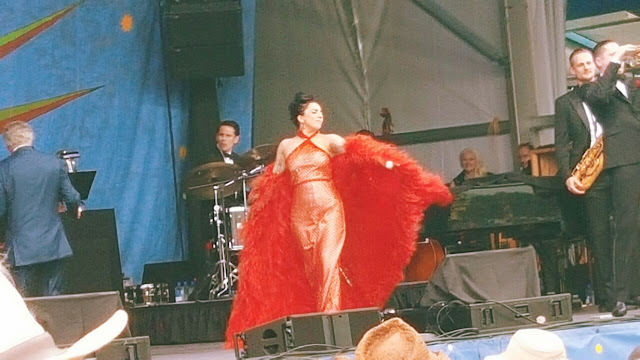 Her vocals have always been strong and singing jazz is a comfortable genre for the pop talent. Holding her own in songs like ‘Bang Bang (My Baby Shot Me Down)’ and ‘Lush Life’, Gaga showed control and spurts of raw expression in her covers. Displaying sass when required and broken-hearted longing when needed, Gaga is excellent live. When performing a duet with Bennett, Gaga displayed a light playfulness and gentle camaraderie with her singing partner. Dancing and twirling confidently as the band played instrumentals during songs. 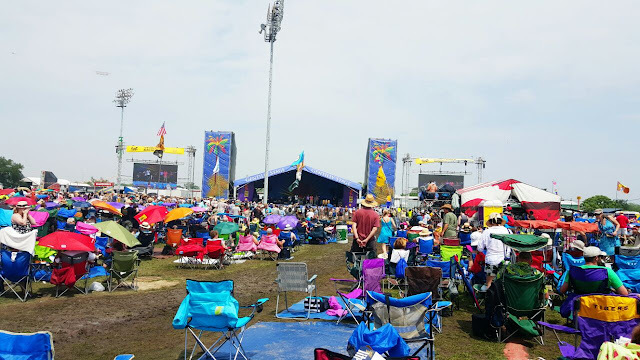 During jazz fest, I watched other phenomenal acts such as Little Freddie King and the Blues Band, Leah Chase and Kim Che’re. But there was one that really stood out for me. The man I had come all the way to see. John Legend. Effortlessly performing for almost two hours, I was absolutely blown away with one of the most exquisite voices of this generation. Legend has so much soul you can’t help but be enveloped by the richness of his sound. 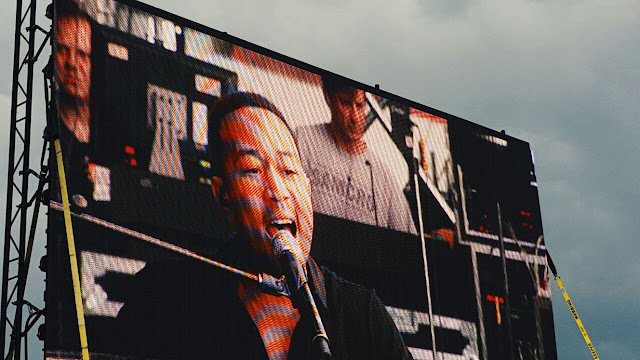 During his performance, he narrated the real-life stories behind the songs in between singing. Legend told us how he wrote for and worked with a lot of big artists early on in his career, playing snippets of Lauryn Hill’s ‘Everything is Everything’, Jay Z’s ‘Encore’ and Alicia Keys’ ‘You Don’t Know My Name’. Legend played and sung a mix of songs from all his albums but his best moment was his cover of ‘Bridge Over Troubled Water’. 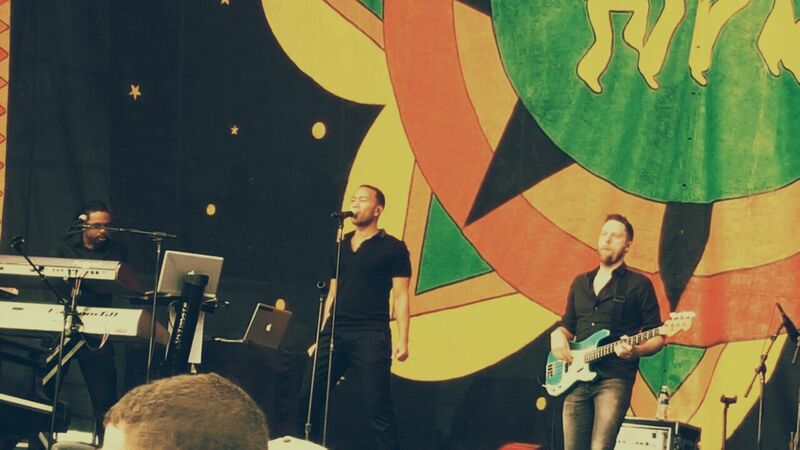 Legend dedicated the song to his grandmother. A talented woman who had taught him how to play gospel piano before she died and never got to see his success. For three minutes, I was stunned into absolute silence as I witnessed the most emotionally powerful and moving performance of Simon & Garfunkel’s masterpiece. Legend finished with ‘Glory’, his Oscar-winning theme song he wrote for the movie ‘Selma’ starring David Oyelowo and Tom Wilkinson. 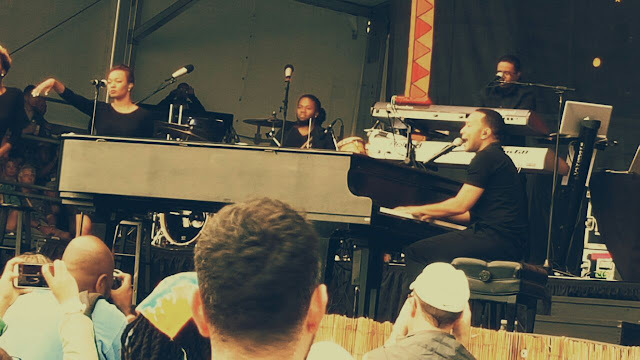 It had been raining quite heavily before Legend had come on stage and when the sun finally came out, the day’s last light shining onto one man and his piano - singing words about justice and the fight for equality could not have been more beautiful.